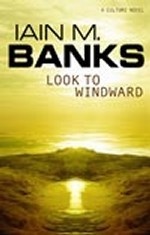 Аннотация к книге "Look to Windward"
It was one of the less glorious incidents of a long-ago war. It led to the destruction of two suns and the billions of lives they supported. Now, eight hundred years later, the light from the first of those ancient mistakes has reached the Culture Orbital, Masaq`.